We will send you a gift certificate to the value of your choice. 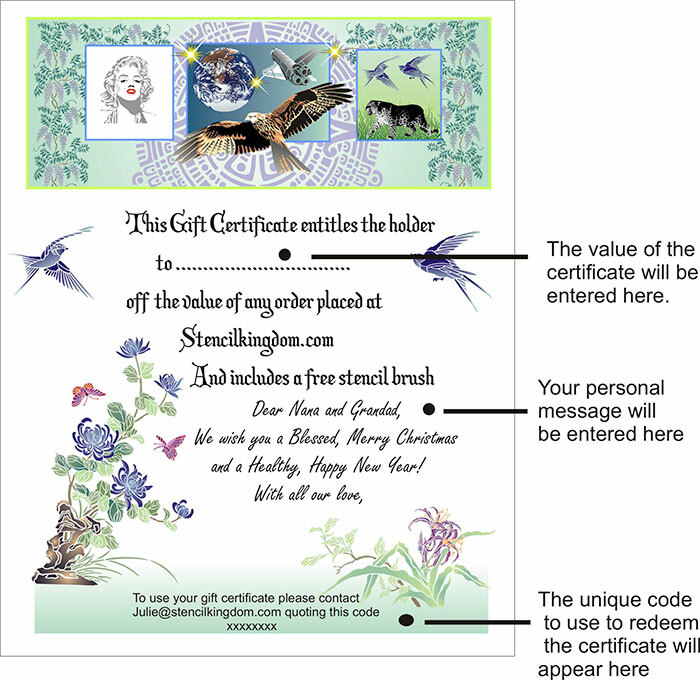 The certificate will be valid for 1 year to give a reduction to the face value on any order placed with Stencil Kingdom. When your "Special Person" contacts us to redeem their gift, we will give them special attention and help if needed with their selection and we will include the free stencil brush. We send our certificates by e-mail to avoid any postal delays. If you prefer to receive a paper copy of your certificate in the post, please let us know.